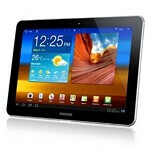 Today marks the wider availability of the thinnest and lightest 10" tablet, the Samsung Galaxy Tab 10.1. The slate ships with Android 3.1 Honeycomb, and you'll be able to download TouchWiz UX, the tablet edition of Samsung's Android UI, with its Live Panels and Mini App tray, later on, if you wish. Samsung warned us that the promo video it sent us link to yesterday (embedded below) actually shows the 3G version, whereas it is the Wi-Fi-only variant that is hitting the shelves today. Moreover, in the dedicated Samsung Galaxy Tab 10.1 miniwebsite, Samsung answers: "The tablet does not have an SD slot, but an optional SD card adapter is available as part of the USB adapter / connection kit and enables SD card connectivity to the tablet." 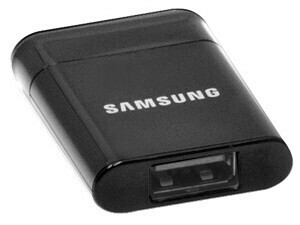 The USB adapter just went on sale from Samsung for $20, so if you want some extra storage for your Galaxy Tab 10.1, you either get the 32GB version, or carry the USB adapter with a memory stick or a card reader always with it. Not an option, we know, but that could be the price to pay for boasting "the thinnest and lightest" slate out there. BS!!! Best Buy's not even getting the shipment in til tonight. Therefore, it doesn't go on sale until TOMORROW!!! Where are the lines? Lol. I could've bought one today, but it was white and only 16g...now the grey 32g, that's nice, maybe I'll get that one. DOES ANYONE KNOW WHEN THE 3G MODEL IS COMING OUT?? ?